Step by step instructions on how to setup Gusto. 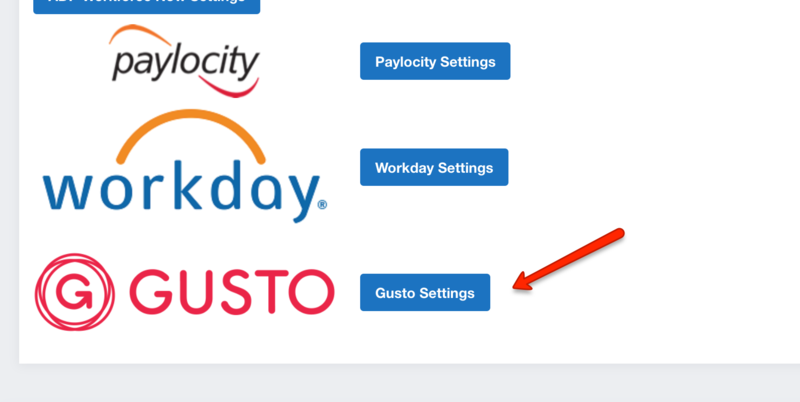 You can setup Gusto easily by going to Settings --> Integrations. 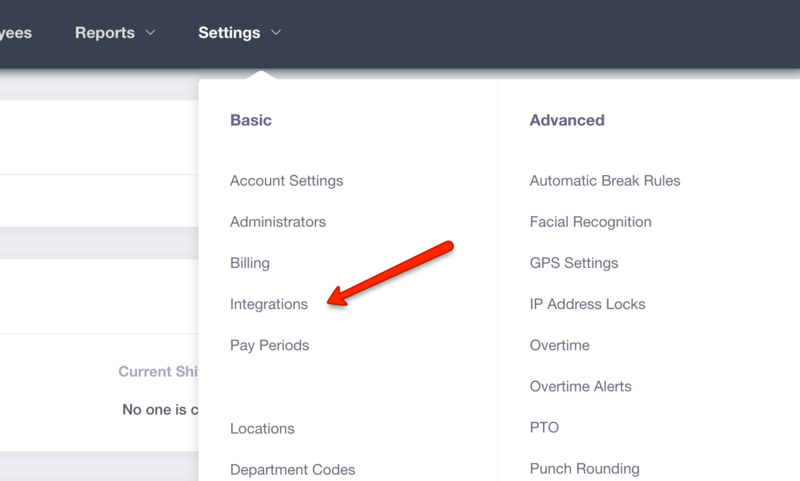 At the Integrations page, scroll down to the bottom and select the Gusto Settings button. 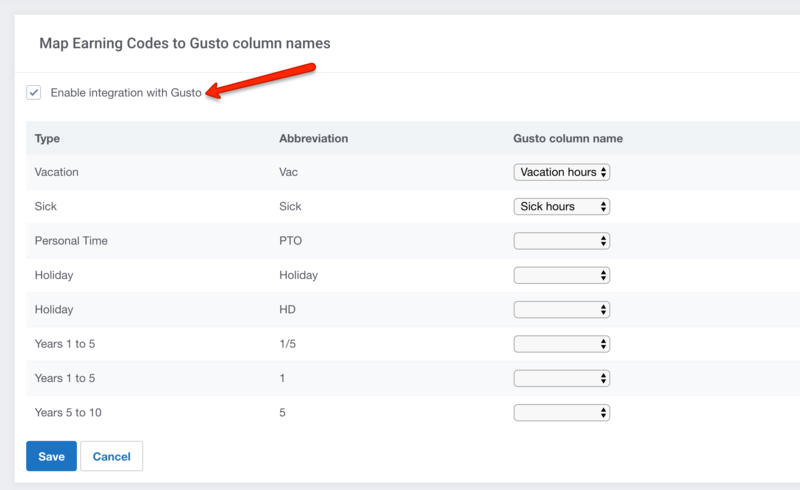 Enable integration with Gusto, setup the Gusto column names accordingly, and save. 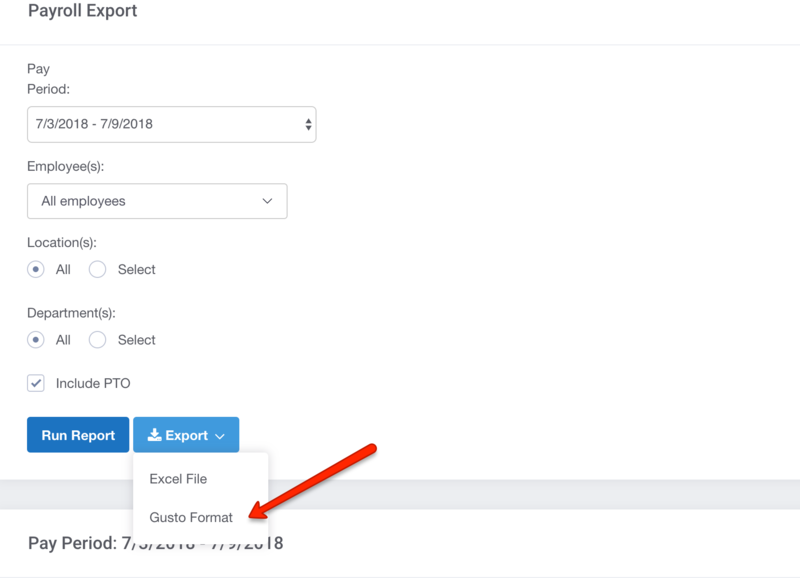 When you're ready to use Gusto, go to Reports --> Payroll Export. Once you've selected your export options, click Run Report, and then export into the Gusto file format as shown below.